The monkey has a sweet heart. a supply of good sweet fruit. The monkey had saved himself because he had thought quickly. 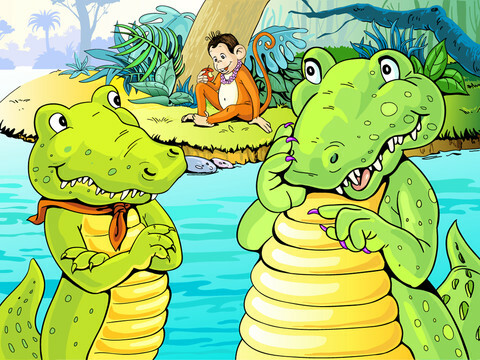 He realised that a monkey and a crocodile could never be true friends - crocodiles preferred to eat monkeys rather than be friends with them.